Scott Dunlop is no stranger to Spaulding Youth Center. In fact, he grew up in Northfield, New Hampshire right next door to the organization’s scenic campus. Scott joined Spaulding Youth Center in 1995 as a Special Education Teacher following his time as a student teacher. While he was familiar with the organization’s campus and mission, he did not truly know the innerworkings of the school. After a very short time, he knew his decision to begin his career in education at Spaulding was the right one. Almost twenty-five years later, Scott still faces something new and challenging in his job every day, which is one of his favorite things about working here! He loves the atmosphere and finds his work in special education incredibly rewarding. He notes that seeing some of his previous students excel outside of school and in the community makes the time he has spent at the organization especially worthwhile. Scott’s many years at Spaulding has allowed him to see not only the personal growth of his students, but also of the school itself. He is amazed at how much the school has evolved aesthetically in the past 15 years and is excited to witness what other positive changes are in store. The organization’s resources and staff are also more robust than they had been when he first started in the mid-90s, and he is grateful for the supportive community around him every day. Scott’s dedication to and love for his job has not gone unnoticed. He was honored as the 2018 recipient of the Spaulding Teacher of the Year Award at the school’s annual Academic Awards Ceremony in June. 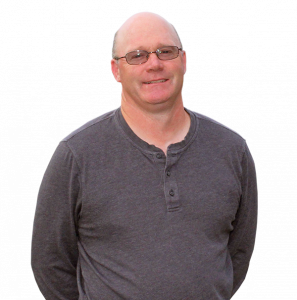 In his spare time, Scott enjoys coaching a high school boys soccer team which he has done for for the past 22 years. He also enjoys playing in a local wood bat baseball league. Scott is passionate about sports, and even more passionate about positively affecting the lives of the young people with whom he works every day.